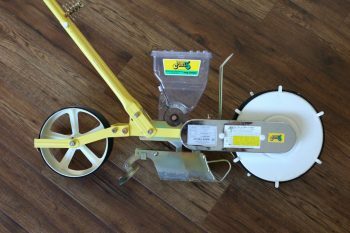 JP1 – Jang Speed Seeder No. 1 – THE COMPLETE KIT – Paperpot Co. The JP1 COMPLETE KIT was put together by Curtis Stone. 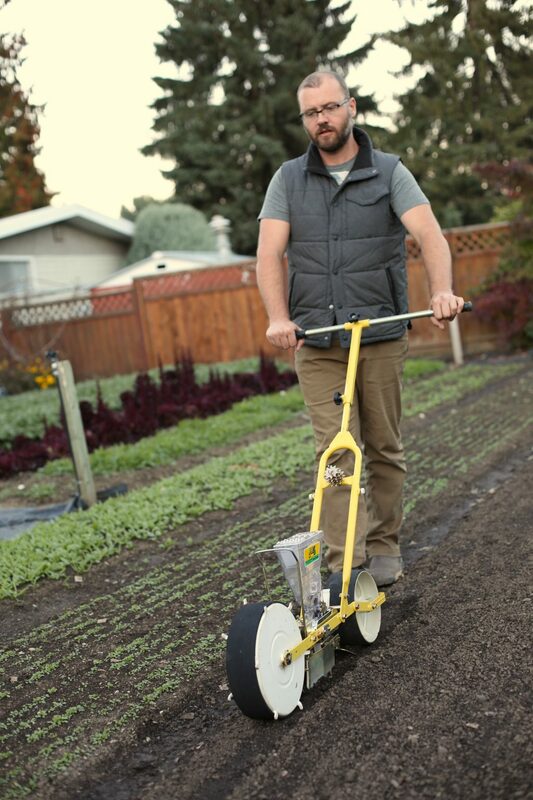 The kit comes with a JP1 seeder and all of the rollers Curtis has used over the years which he writes about in his book The Urban Farmer. Get started right away planting all of your crops – it’s all in one box. 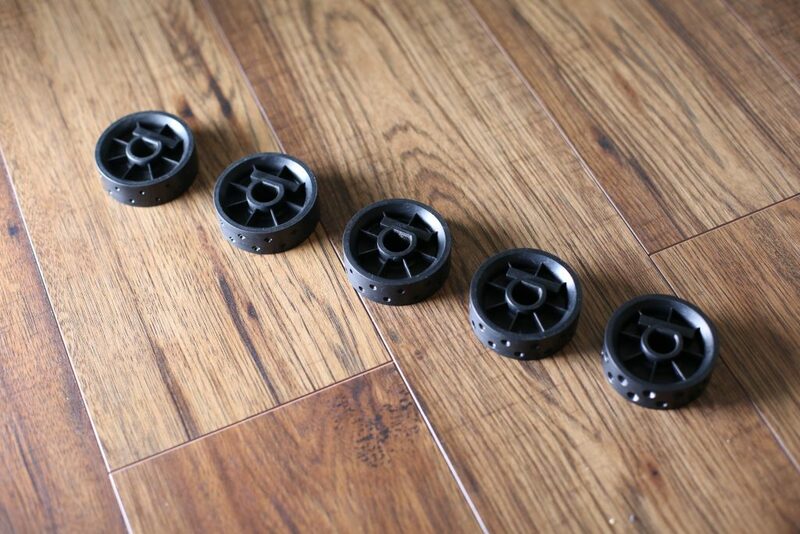 The kit includes JP-1 seeder and rollers: X-24, F-24, YYJ-24, LJ-24, XY24. You won’t have to order anything else! F24: typically used for radish, with 6-7 rows on a 30” bed. X24: typically used for baby kale, mustard, arugula and can be used for carrots. XY24: typically used for carrots with 5-10 rows on a 30” bed. YYJ24: typically used for small seeds, primarily arugula with 9 rows when using the JP-1. LJ24: typically used for larger seeds like spinach or cilantro. We carefully selected these rollers to include in the package to give you wide variety of seed ability and the ability to plant those seeds without having to change around sprockets on the JP1. Below is a chart detailing the gear ratios and rollers needed to plant the following crops with the JP1. 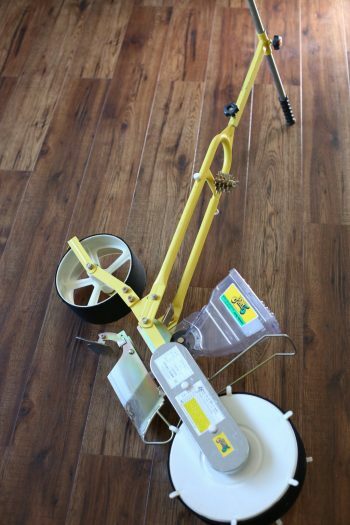 There are FOUR variables to adjust when operating the JP1: the rollers, the gears, the number of rows per 30-inch bed, and the hopper brush, which is the little brush inside of the hopper which controls the amount of seed flowing from the roller. *When adjusting your hopper brush, we suggest only opening it all the way up and all the way down. In the chart below, that’s what we are referring to. 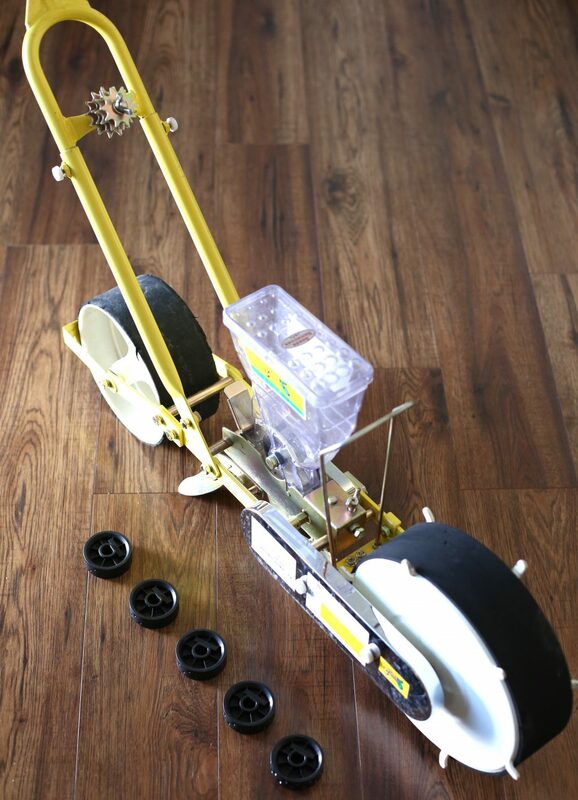 The JP-1 is the classic single row Jang seeder. It has become an industry standard for market farmers all around the world due to its ability to perform well in all soil conditions while being used for a wide variety of crops. There are a wide variety of rollers available for the JP1 that can cover seed sizes from carrot to peas. The JP1 is made in South Korea and its quality is second to none. The heavy-duty construction will keep it going year after year, unlike cheap Chinese knockoffs. If cared for and properly maintained the JP1 will last a lifetime and like be the only single row seeder that you ever buy. 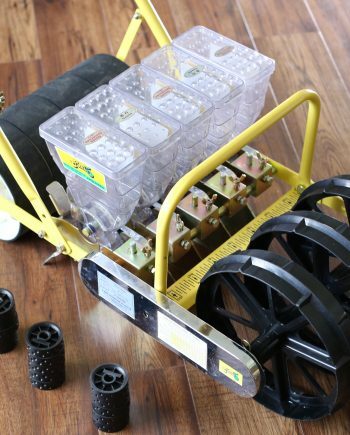 Singulate seeds – from small seeds to large seeds the JP1 gives you the ability to plant a single or as many seeds as needed. The Jang ships from a third party shipper, and when you receive your Jang JP1, the only assembly required is to place the handle onto the main body.